This is a 45 minute speed sculpt I did from zspheres. 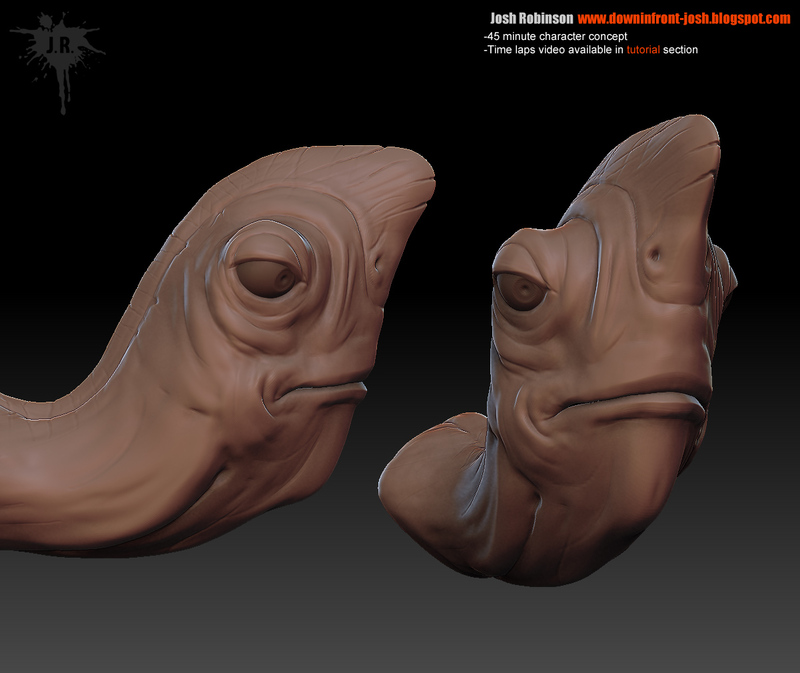 I didn't really know what I wanted when I started so I was just going off the top of my head as the sculpt progressed. I'd like to fix the mouth a bit and actually make a totally different set of teeth. 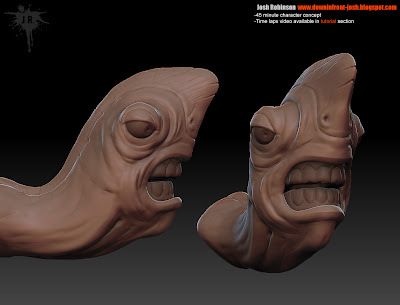 If I did those things however then it would not be a "speed sculpt" so i'll resist that temptation right now. I added a time lapsed video of my process as well. You can find it in my tutorial section. I hope you enjoy! Hey Anwar. How are ya man? Thanks! He's ok considering the time on it. Has a funny personality i think. I def. gotta do a small little shell for him now.